There are many uses for walls – some are used to keep people safe, while others were used to keep enemies and animals out. Some are used as a symbol, and some are used for its aesthetic appeal. General landscaping and urban planning benefits tremendously from retaining walls. City public gardens use them to separate vegetation from the unsafe concrete jungle. Large properties utilise them to guide guests and to deter those unwelcomed, and highways and railroads use them to keep pedestrians safe. When people think of concrete, it’s not unusual for them to think of dull or monotonous grey on ordinary concrete that serves no visual beauty. Fortunately, we offer a wide variety of precast post & panel concrete retaining walls designed to suit any and every creative taste. Our walls are available in different colours, designs, consistencies to accommodate various tastes. Wonder Walls offers the perfect retaining wall solution. The concrete composition and galvanised steel reinforced panels make them extremely strong. The steel is completely encased in the panel and there are no exposed ends; they can’t rot or corrode, and have a quality finish that is maintenance-free and lasts a lifetime. The post and panel retaining walls are easily marked to match other nearby landscaping items, including tiles, sculptures, and metalworking. The ardent gardener who wishes to feature both retaining walls and fences in their carefully crafted lawn layouts will come to the right place by contacting us. Many property owners fail to realise that erosion impedes more than just beaches and mountain slopes; erosion damages lawns and gardens too. Precast concrete retaining walls are one deterrent people use to kerb erosion. The most common types of landscape erosion come from two sources: water and people walking on the lawn, and yet both can easily be prevented. A precast concrete post & panel retaining wall can elevate your landscape into flat layers; thus keeping rainwater from moving which, in turn, diminishes erosion damage. Likewise, retaining walls are a great, yet subtle, way of telling people to avoid walking in certain areas. It keeps people out of sensitive areas protecting both the soil and the plant life. The concrete used in Wonder Walls panels and posts is regularly tested by an independent testing laboratory to ensure consistency of the design strength. For an obligation-free site inspection, measure and quotation anywhere in the greater Perth metropolitan area, contact us on (08) 9472 1148. *The pictures below are examples of what the Charcoal product looks sealed and unsealed. Precast Post & Panel retaining walls are cost-effective. With the invention of the precast retaining wall, came the advent of ease, customisation, and accessibility. Landscapes no longer had to conform to the needs of their walls; instead the walls served the needs of the landscape. Wonder Walls is designed for the Do-It-Yourself enthusiast. 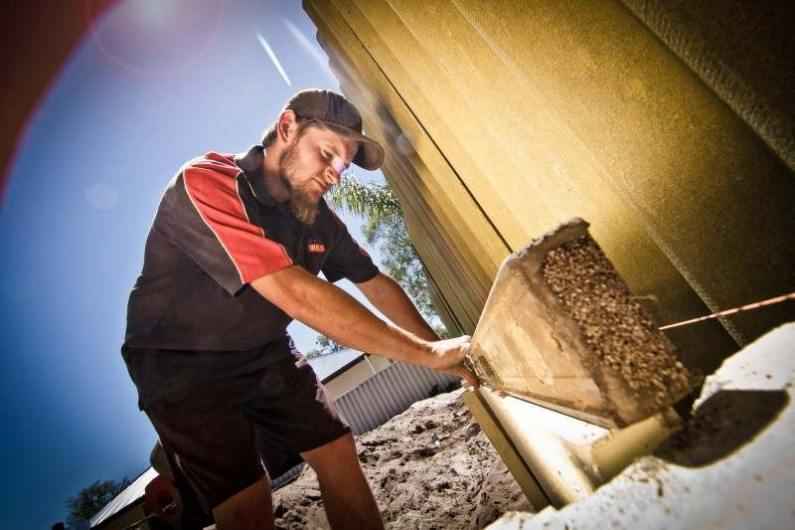 This DIY retaining wall system does not require skilled labour, and is quick and easy to erect. The panels are relatively light and can be handled easily by one person.